Oh, stop it! You know that beautiful shade of colour that appears on your cheeks when that special someone whispers sweet nothings in your ear? Well we’ve bottled it! A flattering flush of warm rosiness that will compliment any skin tone. This subtle shade is packing some serious Jamaican heat! 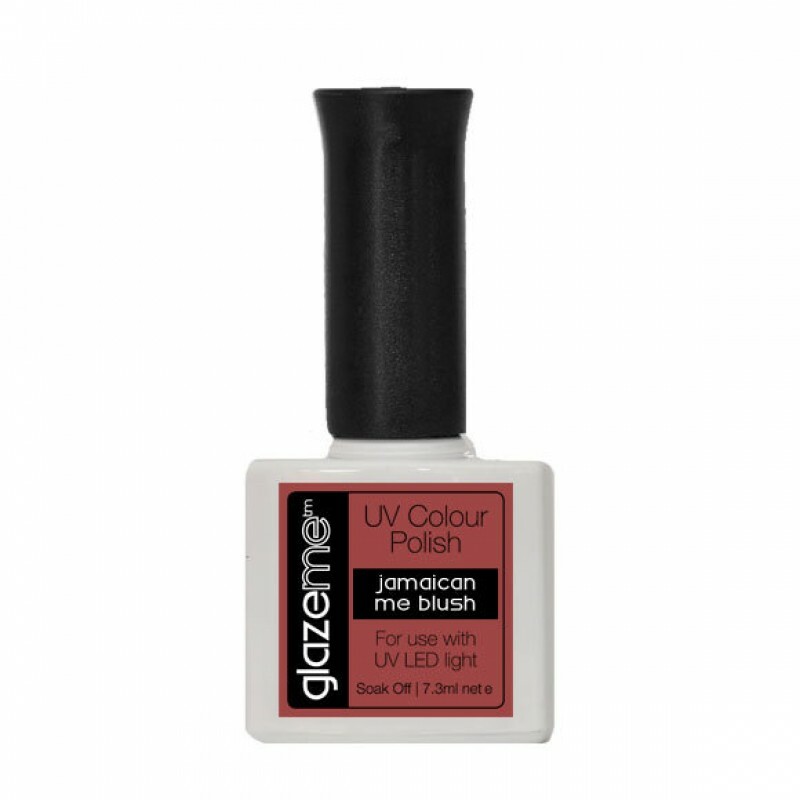 GlazeMe UV Polishes Work in conjunction with a UV lamp and glazeme base and top coat to outlast and outshine conventional nail polishes.